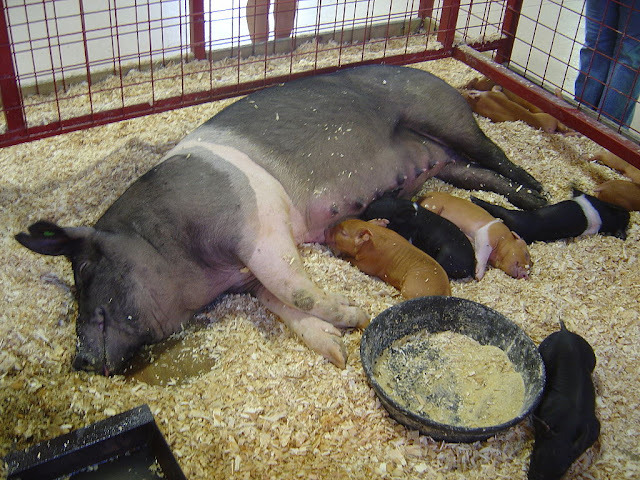 There are nine main types or breeds of pigs. These are Berkshire, Chester White, Duroc, Hampshire, Landrace, Poland China, Spotted, Pot bellied pig and Yorkshire.Each has different characteristics and traits that give it a different color, appearance, or manner. Pigs are the fourth smartest animal group on the planet, following only humans, apes/chimps, whales and dolphins. 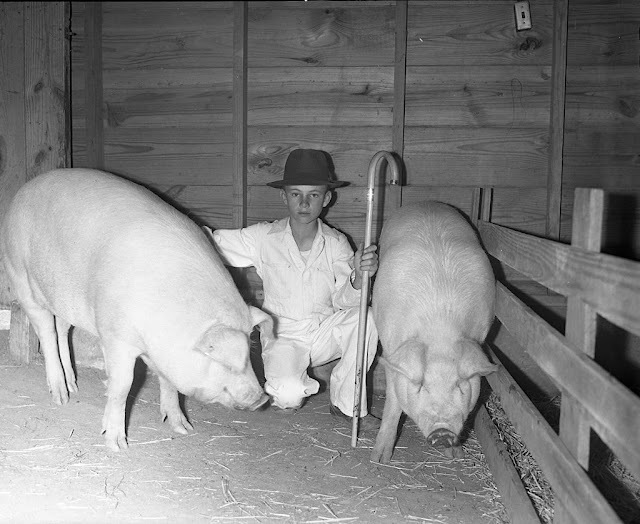 Pigs can be trained to do many tricksand make fabulous companions with their quirky personalities and sense of humor. Pigs can even learn to play video games! from this breed is most tender and best tasting. This breed had its origin in the Eastern United States and Corn Belt. Durocs have considerable variation in color, but are considered to be the “red” hogs. Durocs have fast efficient gains with good quality meat. 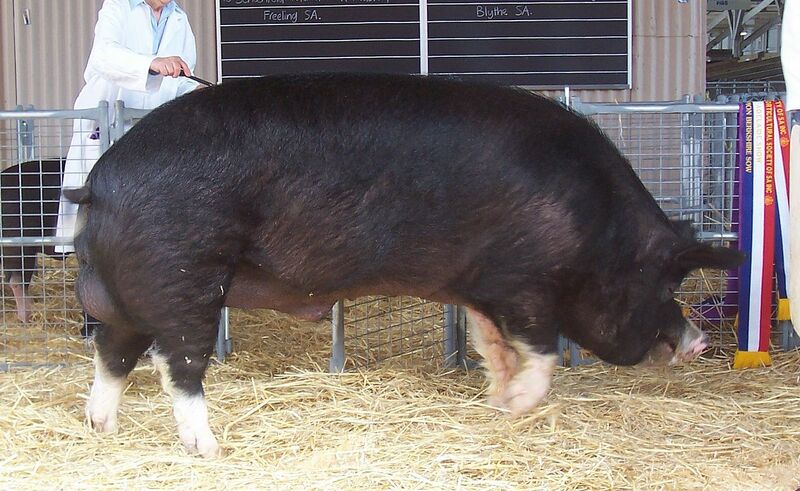 This breed, often called American Landrace, began in about 1895, as descendants of hogs developed in Denmark. Landrace are a white hog with long body length. The arch of the back is less pronounced than on most other breeds and the ears are large and carried close to the face. This breed, known today as Spot, descended from the spotted hogs, which trace a part of their ancestry to the original Poland China. The Spotted breed has good feed efficiency and growth gain. This breed originated in Chester County, Penn., in approximately 1812. Not only is this breed preferred by producers, but processing facilities prefer animals with white skin. They have proved to be superior in muscle quality. Established from a combination of other breeds. 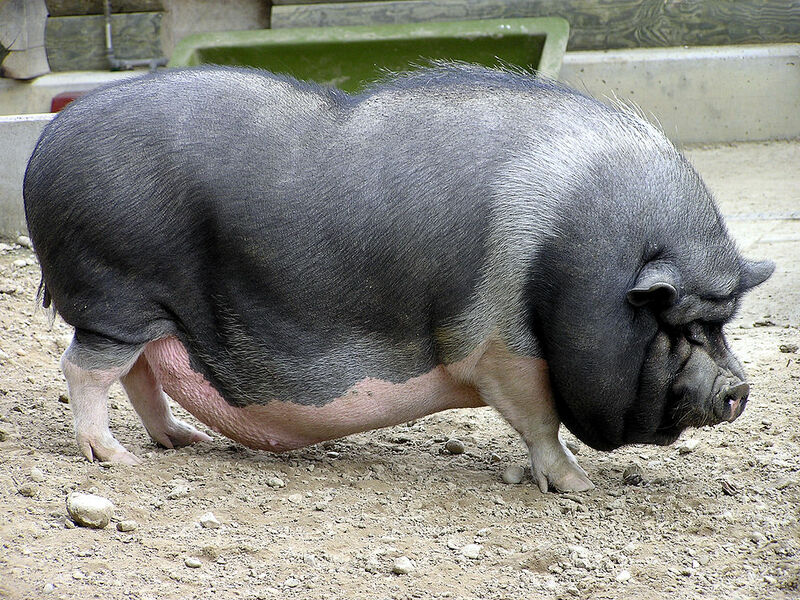 Poland China pigs are heavy boned with large quantities of lean meat. 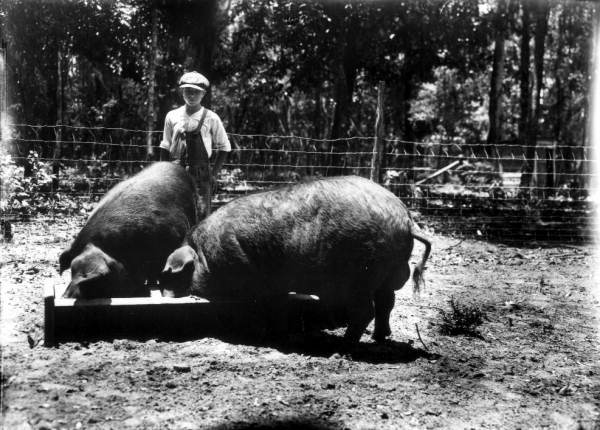 The largest pig on record was this breed weighing 2,226 pounds and 9 feet long back in 1933.
were domesticated during the 10th century AD. Are used as pets and for food in Southeast Asia. 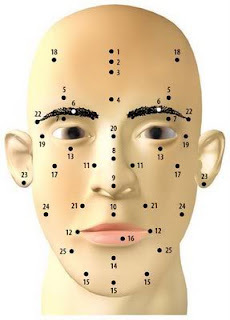 Has loose skin with many folds and sparse hair. 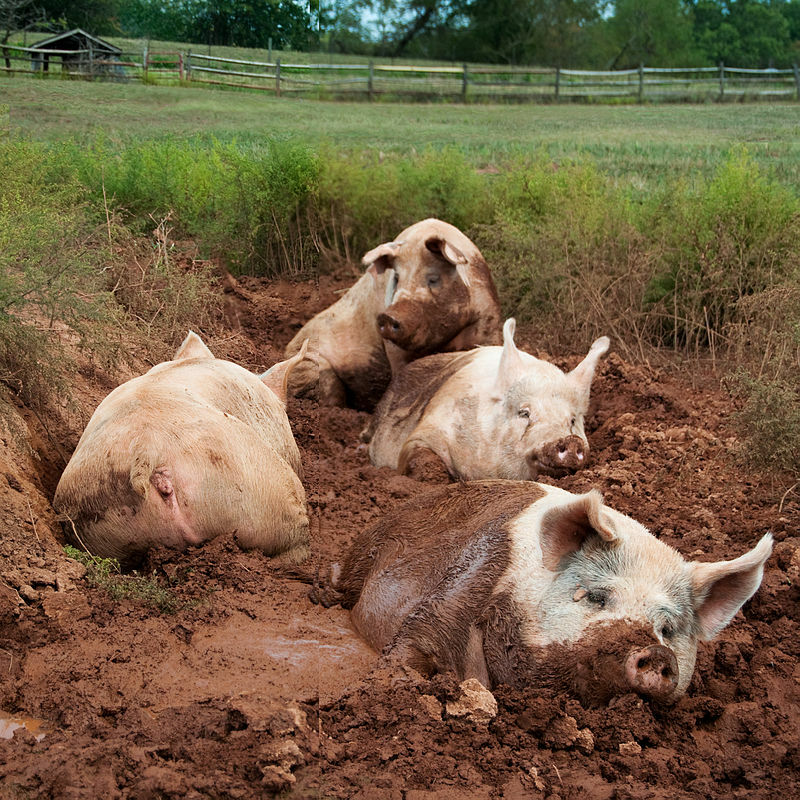 Pigs wallow in the mud to keep their skin cool and moist. The snout is used to dig up roots and tubers. A keen sense of smell and hearing, but poor vision.